Zenki Roshi and a number of dedicated Dharma Sangha practitioners have been developing Wild Dharma Practice expeditions since 2013. For us, Wild Dharma Practice means: for five days we leave our sheltered lives behind and take our Zen practice into the open field and under the open sky. At sunrise, we sit two periods of zazen, then chant the Heart Sutra and Dogen’s Mountains and Waters Sutra. We prepare and eat our food in silence – mountain oryoki style. We pack up camp and practice mindfulness during two periods of 90 minutes of silent walking, one in the morning and one in the afternoon. There is plenty of time to converse during the daily trek, yet it is the silent walking that allows us to connect more deeply with ourselves and the undivided activity from which all life arises and to which it returns: wild nature. At dusk, after another mountain oryoki meal, we sit zazen again and share our experience and inquiries in a daily dharma circle. 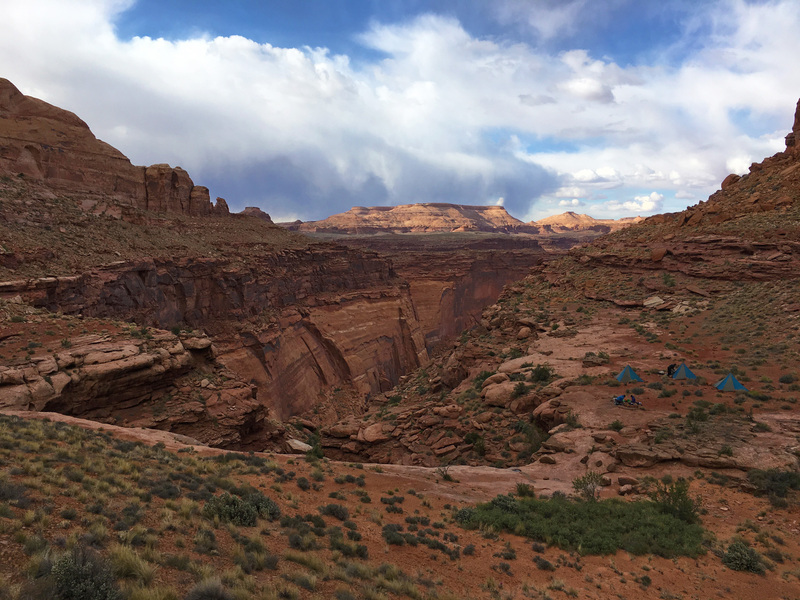 This April, for the first time, we went to the Dirty Devil Canyon in Utah. Our usual August trips have taken us into our backyard, the Sangre de Cristo Mountains, but in order to add another Wild Dharma Practice in the spring, we were looking for a warmer climate. 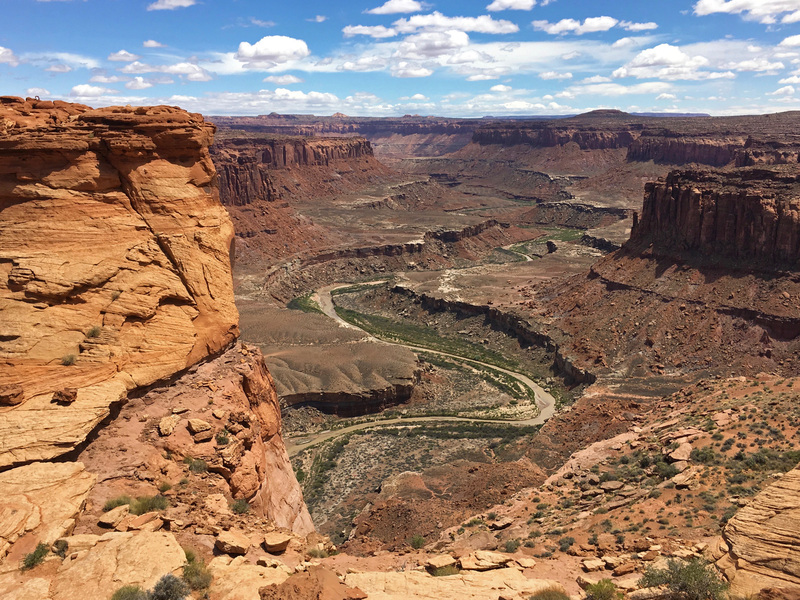 The Utah Canyonlands are ideal for that. 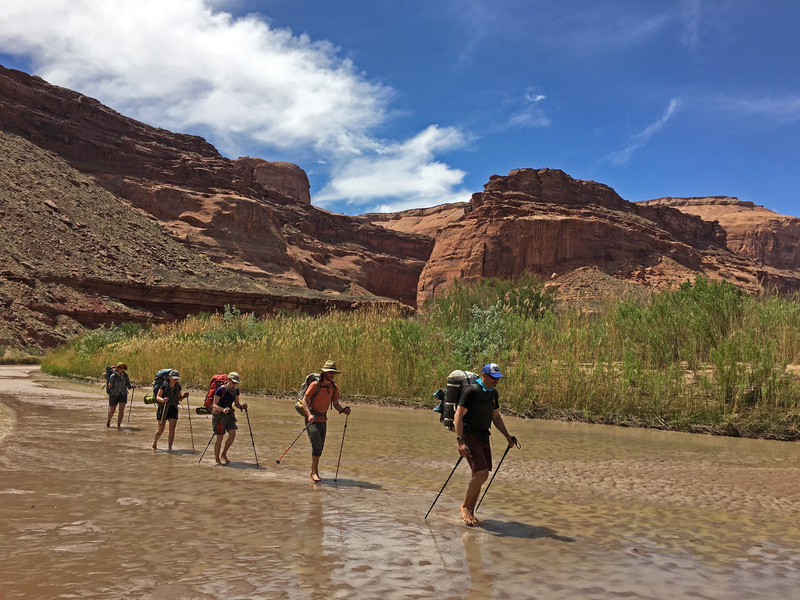 Except for the climb into and out of the canyon, much of the journey through the Dirty Devil is walking barefoot in its shallow, “dirty” silted waters, on its soft and sandy riverbed, and over its extended mud fields. The Eskimo are said to have over 50 words for snow; as someone remarked on this trip, we Dirty Devil Wild Dharma practitioners may begin to develop a similar range of vocabulary for the surprising varieties of mud – slick, slippery, bumpy, hardened, cracked, squishy – all that in many shades of brown and beige, greenish at times or with a tint of yellow. When do you ever get to experience the world for five days with your bare feet, using every little muscle between the tip of your toes and your Achilles heel? In August, our “Practice of the Wild” (Gary Snyder’s phrase) will take us back into the Crestone Mountains. Come join us! Buddhism is to explore and actualize how to be fully alive. Let the wild teach you! There is no need to be experienced other than being sincerely interested in Zen practice and in good enough shape to climb two 12,000-foot passes on well established trails. 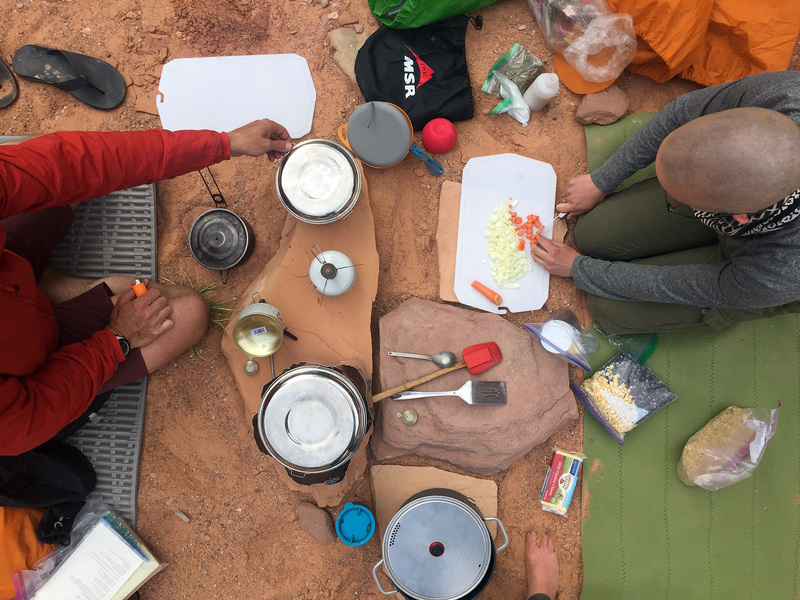 For those who are interested in an entertaining description of our last “Zen Trek” in the Sangres, one of the newbie practitioners, Scott Thybony, sent us his field notes. For the “official” program description, click here.